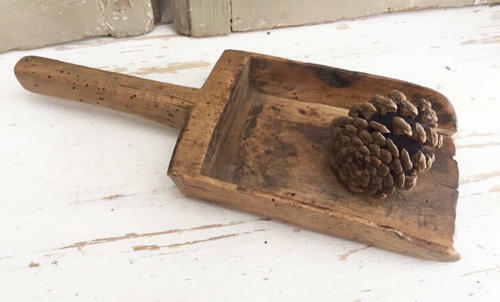 19th Cent Seed Scoop (smaller size). Probably used for seed or flour. Treated for wood worm.